1. Login to your control panel and select the Web Hosting Subscription. 2. Click on the “Account” tab at the top. 3. Click on “Buy Resources”. 4. 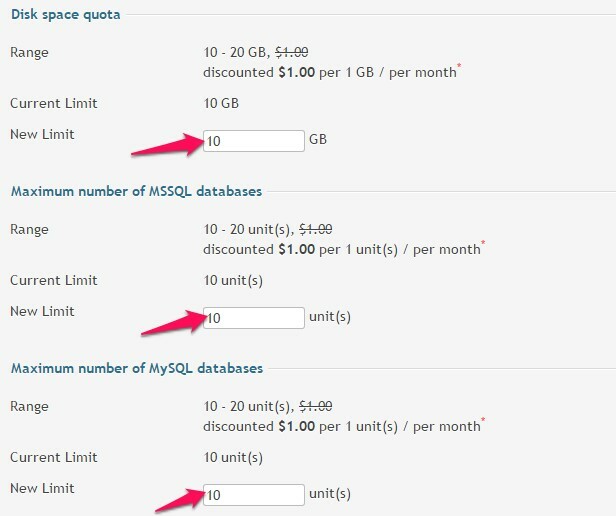 You can choose the type of resource to purchase and enter a new value in the “New Limit” box. 5. The next screen will show details of charges associated with obtaining the resource. 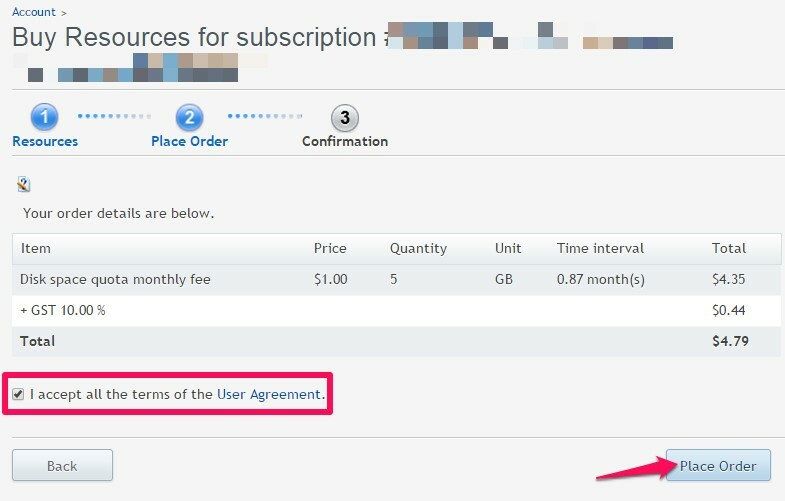 You can tick the box for “I accept all the terms of the User Agreement” after reviewing the “User Agreement” in the link. 6. Click on “Place Order” button. 7. You can choose to pay via the available Payment Options. Your order will be processed once Web24 receive notifications related to your payment being made.